This is a small parking lot and close access to the motorcycle trail 343 which meets up with Taylor Hills Trailhead and Monument Peak. From Monument Peak you can also access the Deep Creek Figure and many more trails in that area. 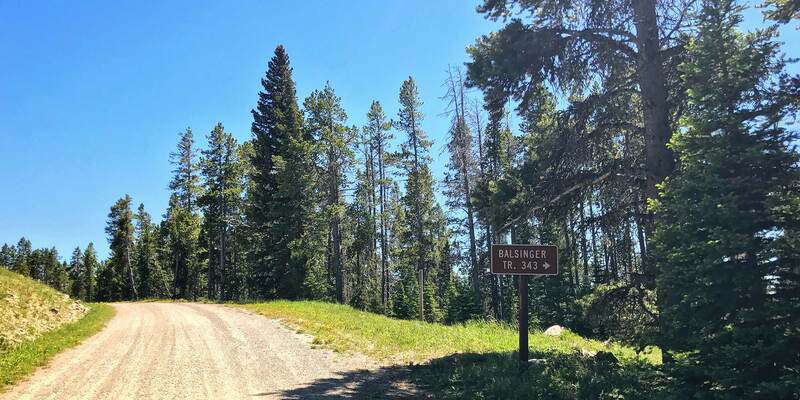 Logging Creek Campground is located only 50 minutes away and is a great place to camp if you need more than one day to explore this area. Remember you will be sharing this trail with other people; hikers, bikers, ATV and horseback riders. Head 9.9 miles southwest on Belt Park Rd. Take Forest Service Rd 839/586 which turns into Divide Road for 6.5 miles. Destination will be on the right. Deep Creek 11.7 miles northwest on Divide Rd.